VoIP phone systems are quickly becoming a popular alternative to traditional, landline telephones – especially for smaller startup organizations. VoIP is inexpensive, flexible, and powerful. Choosing to use it in your business can have a number of great benefits. Interested in learning more? Here are just a few of the benefits that VoIP phone systems can have for your business. Keep reading, and see if a high-tech VoIP system is right for your company. IP phones don’t require the installation of phone lines, interchanges, links, and other specialized equipment. Unlike a traditional telephone, an IP phone works using your wireless or wired network and does not require any other physical infrastructure in order to function properly. This makes VoIP systems especially popular with smaller companies or companies that are planning to move to a larger office soon. You don’t have to invest as much money when setting up the system, and it can be moved quickly and seamlessly, with no loss of functionality. If you have a traditional phone system in Winnipeg, you’re paying for each and every telephone line that’s going to your office – regardless of whether or not you’re using them. That means you need to have a good estimate of how many phones you’ll need in a given year, or else you risk overspending on phones you don’t need. 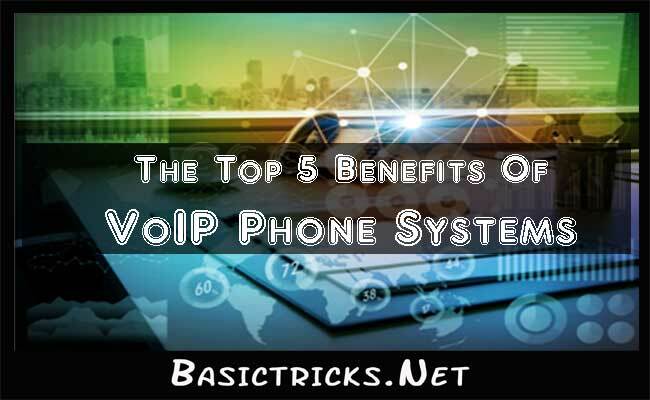 But with a VoIP system, you can add and remove telephone lines at-will, without worrying about having to spend more money on dedicated phone lines. It’s easy to add a line when an employee is added – and remove or switch it when they depart the company. You’ll always have the right number of phones for your particular business needs. If you are using a traditional phone system, your employees will have to switch their phone number if they move to a different department – or even if they move to a new office or workspace. That can make things difficult, and interrupt communications with both co-workers and clients. This is one of the biggest benefits of using a VoIP system, compared to a landline. It’s much more inexpensive to use VoIP phones, in most cases. The typical cost of a landline can range from $30-$60 per month for each individual user, while VoIP phones typically cost only about half that – coming in at around $20-$35 per user. By choosing VoIP systems, companies can save quite a bit of money – and still enjoy their favorite calling features such as conference calling, call waiting, call transfer and holding, and even virtual fax numbers, in some cases. VoIP phones allow workers to access their phone numbers wherever they are – even from their laptops or mobile phones, with some systems. That means that they are much more convenient and flexible. They also integrate with other important business systems. For example, an employee can click on a phone number sent to their email, and immediately begin a call – which increases efficiency, and helps employees do their jobs more effectively. Think About Whether A VoIP System Is Right For Your Company! Though VoIP systems have a number of benefits, they may not be right for every company. Larger companies may not mind spending a bit more for the reliability of traditional landlines. However, advanced phone systems like VoIP systems do have some significant benefits – so think about what may be right for you, and the needs of your company. Wix Answers: Create Your Fully-Operational Customer Support System with Ease! How to Watch Free Movies with Stremio?